Best places to visit in Sicily. 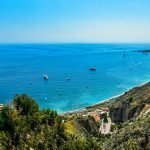 Check this article and find out 5 of the best places to see in Sicily. Also, you will find the best Sicily tours. Best places to stay in Sicily for beaches. If you travel with kids, friends, or with your partner, we will help you to find the best Place to stay depending on your needs. Best place to stay in Sicily for honeymoon. After the stress of the ceremony, you need to relax. Find out wich is the best place to stay in Sicily. 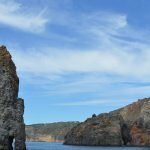 Best flights to Palermo from London. Check the best flights to reach Sicily, from London - Best prices and routes. Usually, Palermo Weather has mild winters and hot summers. Find out all you need to know about Palermo Weather and the best time to visit. Discover with us what see what to see in Palermo Cathedral. And, also, some important information like how to reach it, and how much does the entrance costs.